PORT MOODY, BC – Twin Sails Brewing has announced the release of a new limited edition beer that puts the focus on a lesser used hop strain. This juicy IPA packs a tonne if flavour from one of our favourite underutilized hops, Topaz. This hop showcases bright tropical fruit flavour and a lychee like sweetness. We paired this with small doses of Amarillo and Simcoe to provide balance to the subtle grassy characteristic of Topaz. 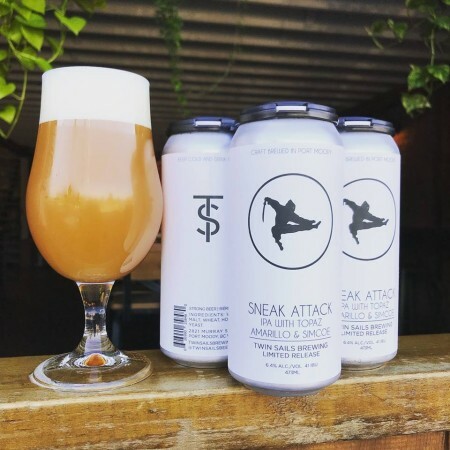 Sneak Attack is available now in 4-packs of 473 ml cans at the Twin Sails retail shop, and will be in local liquor stores later this week.